The International Cricket Council has granted Nigeria the hosting right for the ICC Sub-Regional T20 Qualifying Tournament billed to hold from Thursday, April 12 to Sunday, April 22, 2018 at the Tafawa Balewa Cricket Oval, in Lagos. In a series of meetings which lasted three days between the ICC representative Kuben Pilay, the Nigeria Cricket Federation and members of the Local Organizing Committee of the event, key areas of interest were discussed and sufficiently addressed. Such areas included; security, catering, accommodation, transportation, medical and media. Pilay the ICC was pleased with level of preparedness by Nigeria for the regional tournament. “We are impressed with the level of work done so far and the l commitment by members of the LOC,” he said. He also expressed optimism that this would be the first in a series of international competition to be hosted by Nigeria. Speaking during a meeting with journalists at the Conference Room of Tafawa Balewa Cricket Oval, Uyi Akpata, Vice President of the NCF, said the competition was one of the ways the new board desired to reposition the sport in the counry. The Chairman of the LOC said the board under the leadership of Professor Yayaha Adam Ukwenya, would package one of the best cricket competitions in Nigeria. 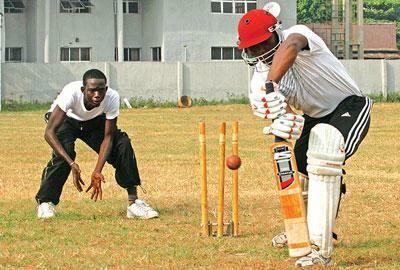 The post NCF stages cricket tourney April appeared first on Vanguard News.